Tropic Wave is a small four cabin motorised yacht. 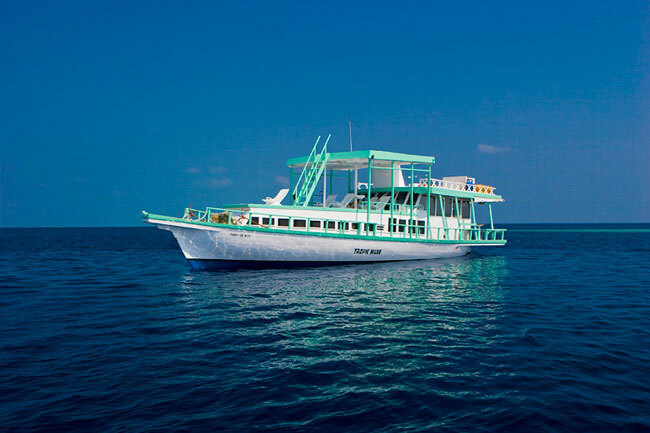 The yacht is aimed at budget travellers who like to explore the Maldives at its best. This boat is ideal for small groups as the size of the boat allows crew to offer you the attention that you deserve on your holiday. 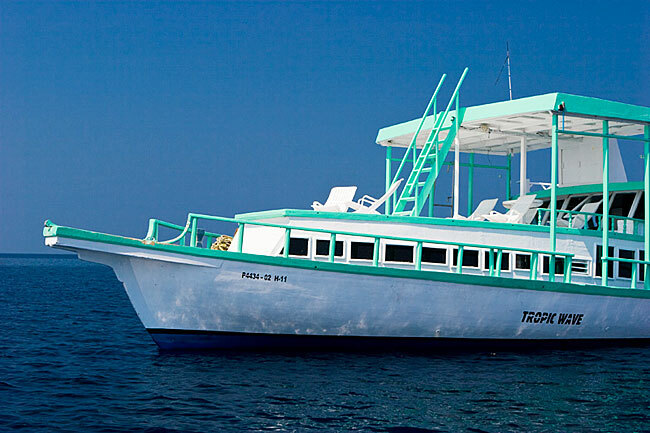 The boat caters for surfing, fishing, snorkelling and cruise market. 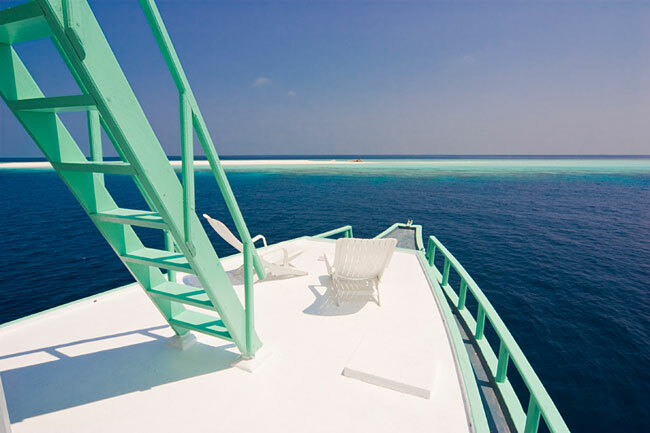 If you want to spend a relaxed holiday away from the crowd within your budget then Tropic Wave yacht can offer the tailor made package for you. Tropic Wave has four cabins with ensuite shower and toilet. 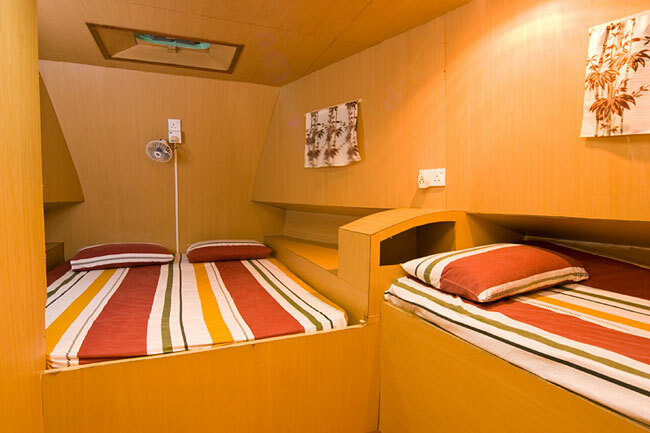 Three cabins have bunk beds and the fourth one has a double bed and a single bed. Three cabins are allocated for guests and one cabin for crew. 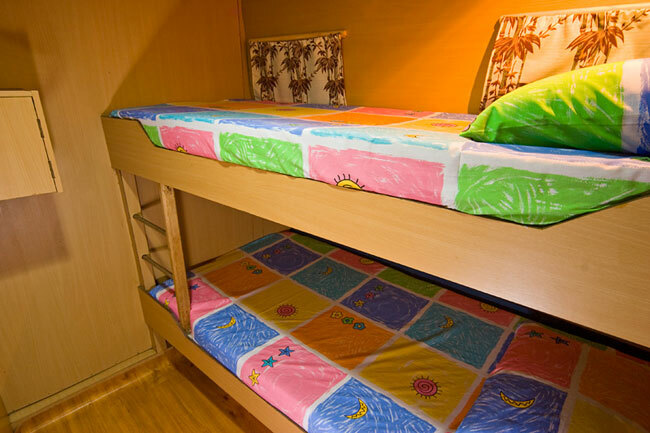 The cabins are decorated with wooden patterned formica. Private lockers/cupboards are provided in the cabins. 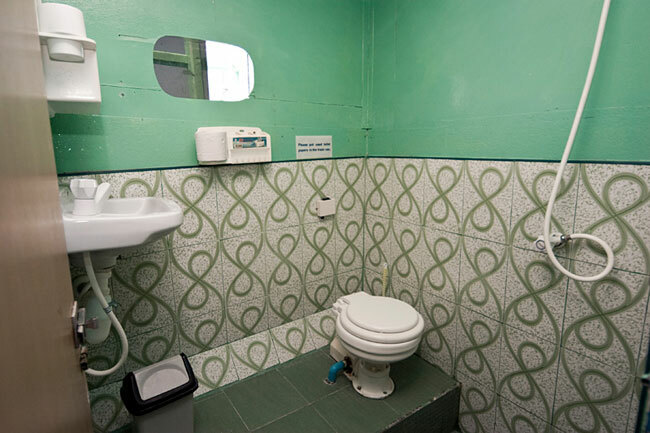 Cabins have private showers and toilets and are supplied with fresh water for bathing and washing. Cabins are well ventilated in addition to the fan cooling. 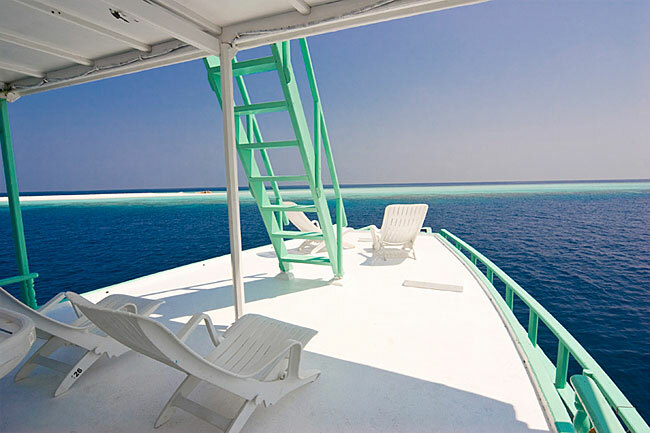 There are two sundecks so that passengers can have plenty of rooms for sunbathing or relaxing. 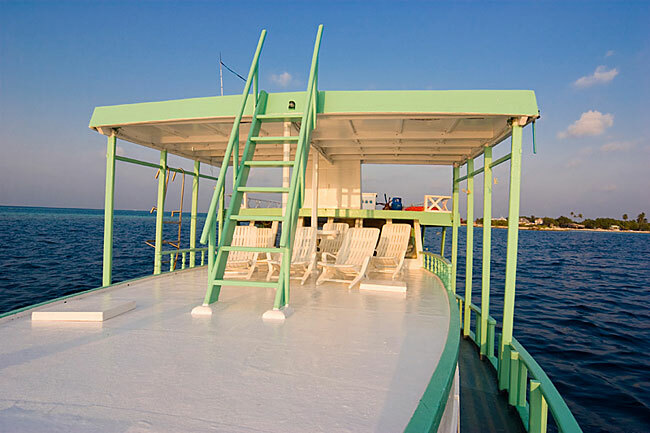 The sundecks are ideal for reading or to have a relaxed day or evening in the middle of the ocean where you will get plenty of fresh sea breeze, undisturbed sun and occasional site of school of dolphins . 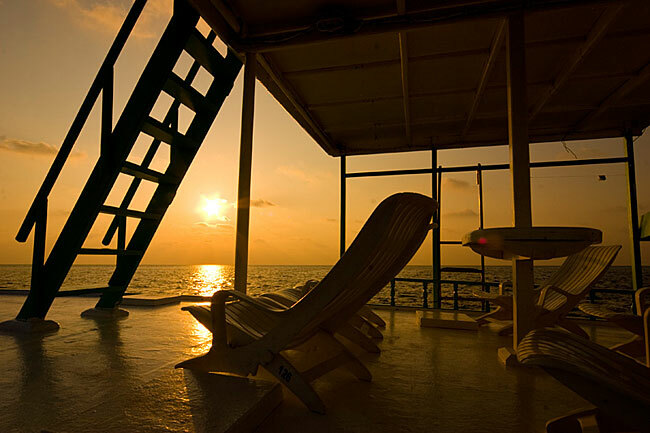 Here you can enjoy drinks and watch the sunset. Dining area in Tropic Wave is at the rear end of the boat. It is open aired so you can enjoy the surrounding view while you have your meals. This area can also serve as ideal fishing base. The boat has a sitting room where you can enjoy your drinks. Music or videos can be played on request. You can select what you like from Tropic Wave CD/DVD collection.